Phases wants to be your auto and truck repair support team. 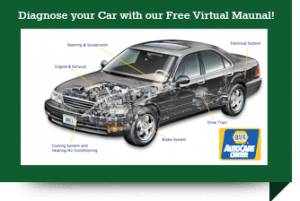 Click here for our “virtual repair manual”. Very cool. Looking for a trusted Colorado Springs auto repair shop near you? 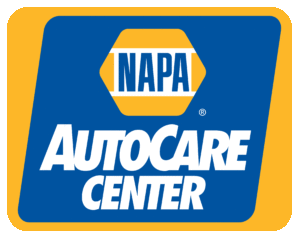 Question: Are you military or wanting Napa nationwide warranty peace of mind with your repairs? We can complete 30,000, 60,000, 90,000 mile interval maintenance that the manufacturer requires for warranty and proper operation purposes. Preventive and factory scheduled maintenance can save you hundreds and sometimes thousands of dollars. By following the replacement interval as suggested in your owner’s manual, it is only minimal cost but by NOT replacing items it can cause major problems and added inconvenience. Visit Phases Truck & Auto Repair today for all of your truck and auto repair and maintenance needs in Colorado Springs! At Phases Truck & Auto Repair, we offer all phases of repair; minor to major on all domestic and import vehicles. We offer complete general repairs and preventive maintenance for both gas and diesel vehicles. Preventive maintenance can save you hundreds and sometimes thousands of dollars. By following the replacement interval as suggested in your owner’s manual, it is only minimal cost; but by NOT replacing items it can cause major problems and added inconvenience. For instance, breaking of a timing belt can throw the pistons and valve train out of time and the valves get bent from the pistons hitting them, which in turn could cost thousands of dollars for repair. Looking for truck repair experts in Colorado Springs? At Phases Truck & Auto Repair, we can maintain and repair all your gas and diesel needs. Our repairs can cover all light duty diesels, with many years of experience on the FORD 7.3L, 6.0L and 6.4L CHEVY 6.2L, 6.6L, and 6.5L DODGE 5.9L and 6.7L diesels, since there have been many repairs on these engines. Once we have your diesel running correctly, we can put your diesel on a great preventive maintenance program though our BG product line. We offer gas or diesel injection cleaning, power steering flushes, carbon cleaning, transmission flushes, coolant flushes, and other additives for your vehicle. Phases Truck & Auto Repair has not always been a big fan of additives, but BG products work and will stand behind them 100%. Regular maintenance extends the vehicle life.